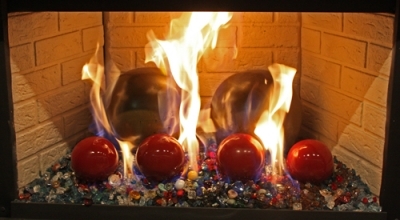 Also Available in 4" and 6"
Along with the Ceramic Fire Balls you will also see our NEW Diamonds These were tested in the shop/ showroom with great success. 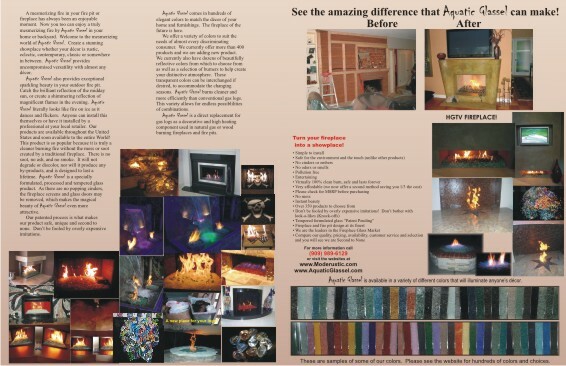 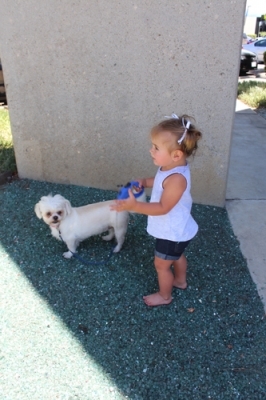 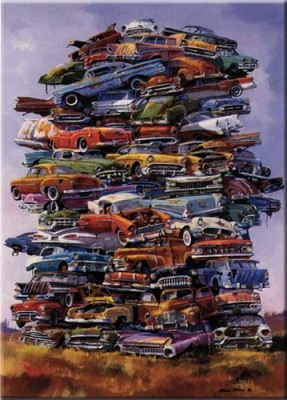 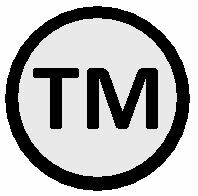 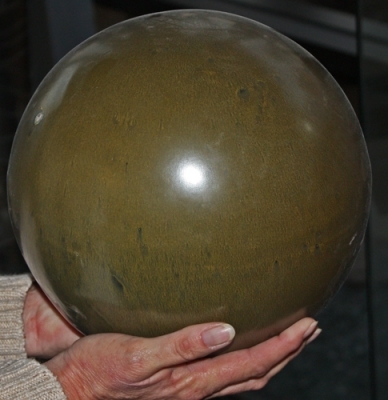 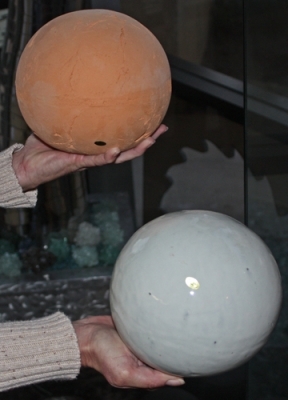 The base glass we tested on was Starfire and several Toppers from our Showroom. 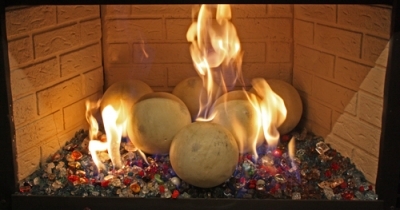 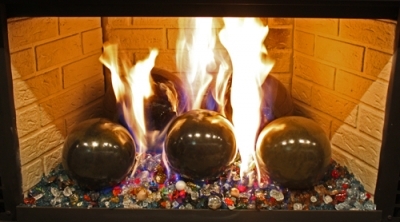 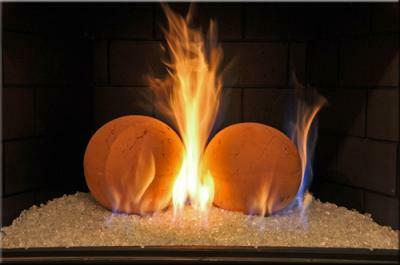 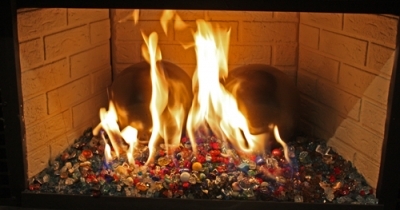 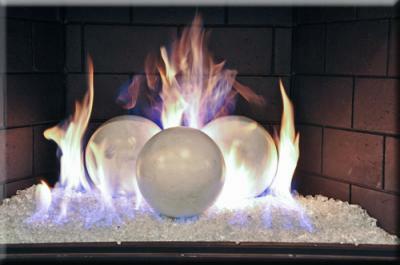 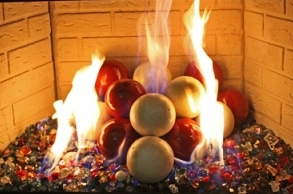 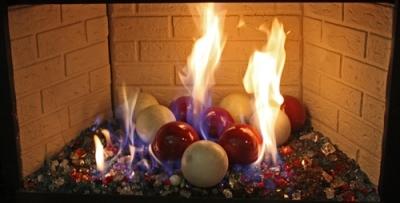 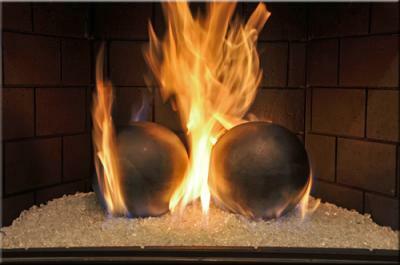 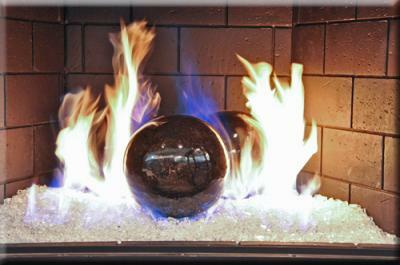 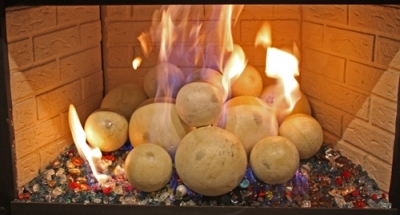 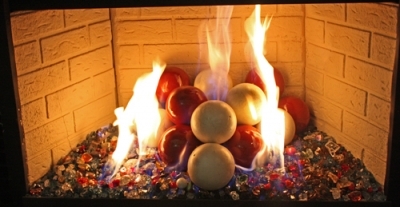 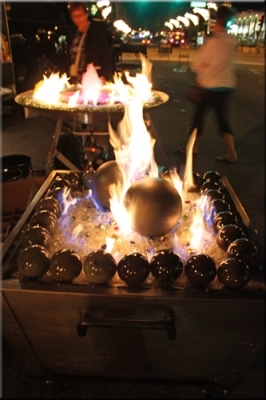 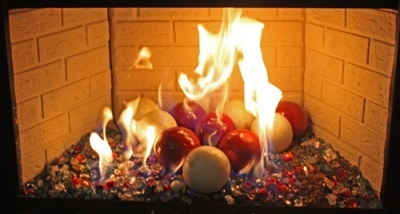 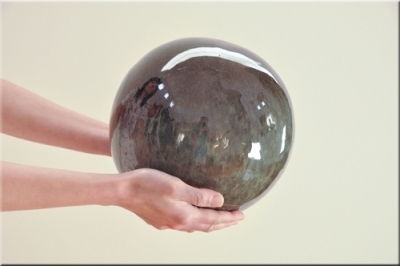 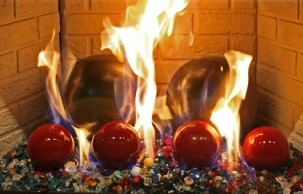 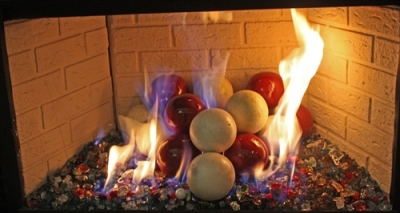 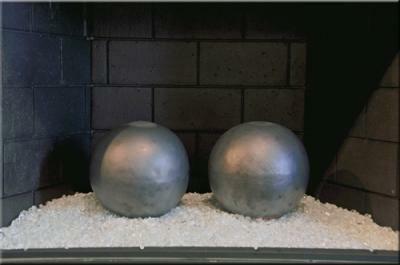 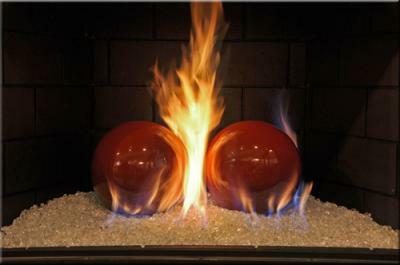 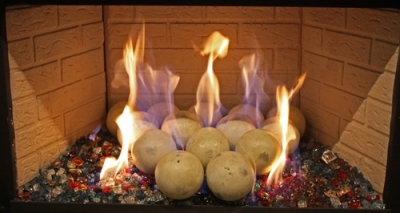 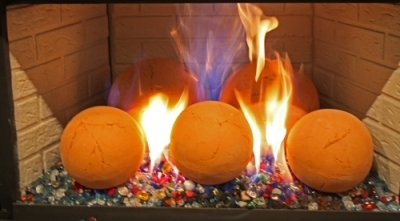 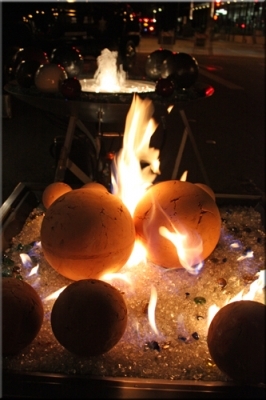 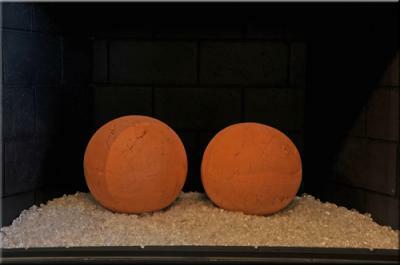 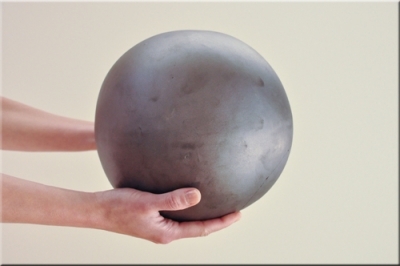 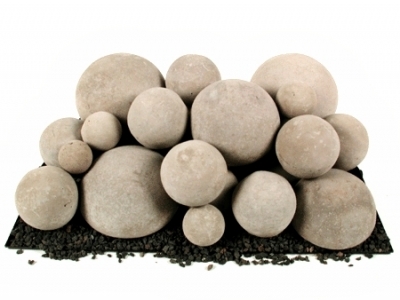 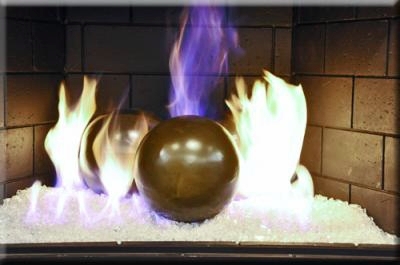 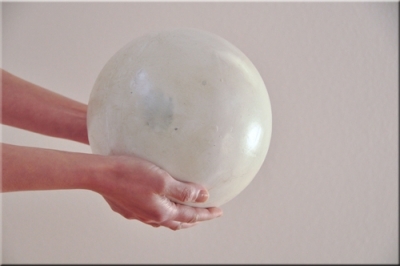 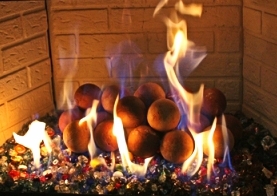 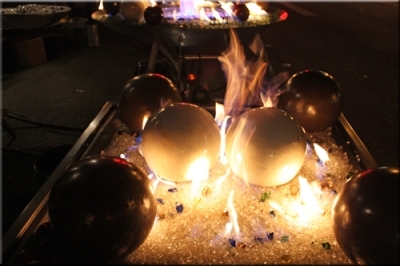 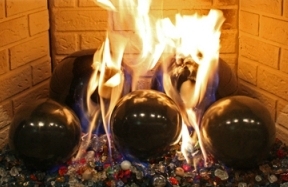 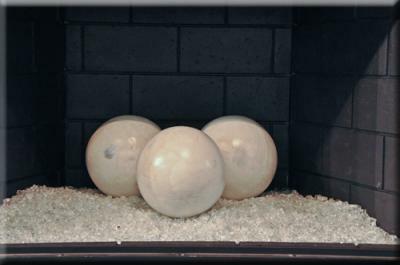 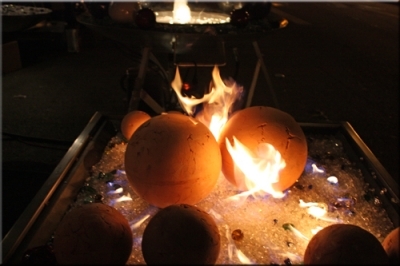 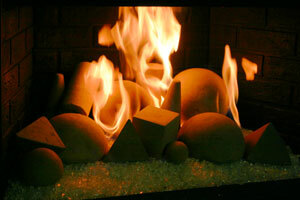 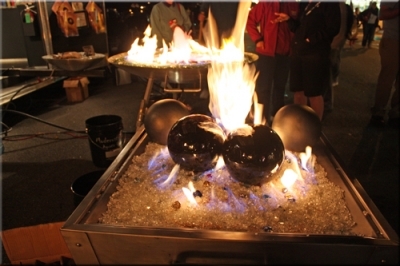 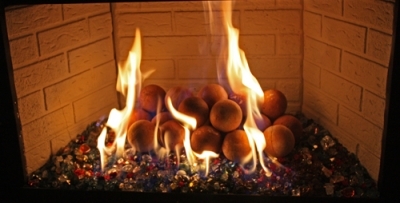 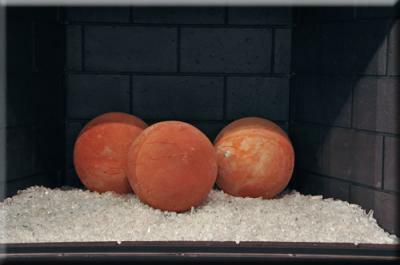 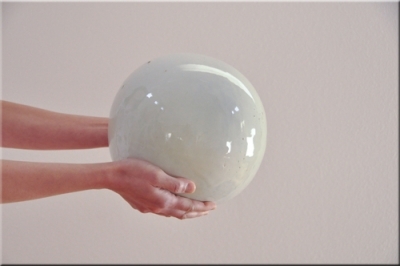 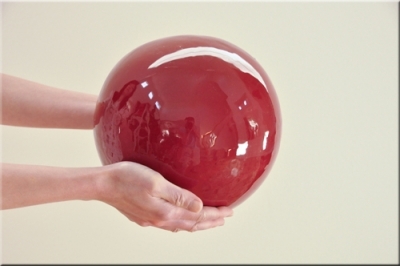 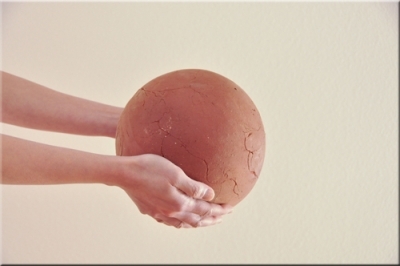 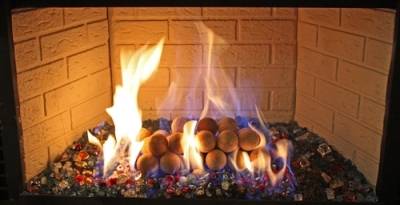 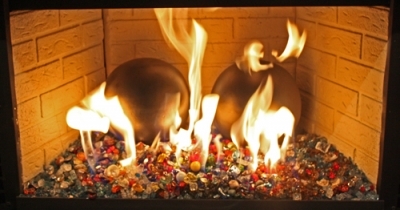 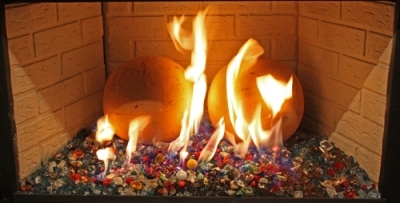 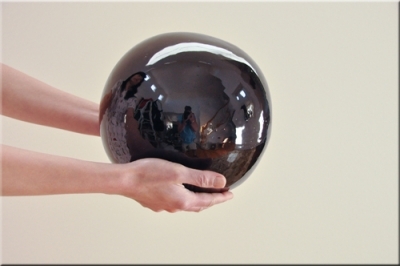 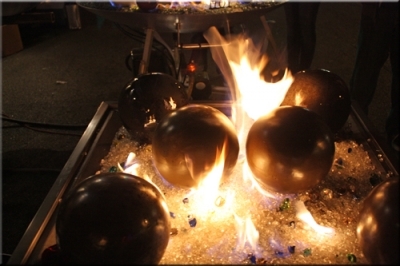 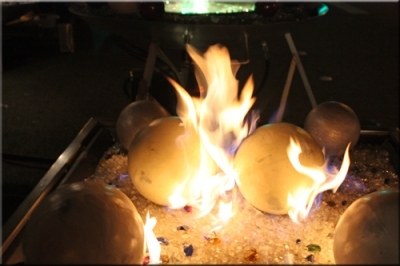 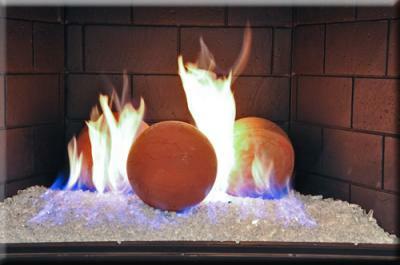 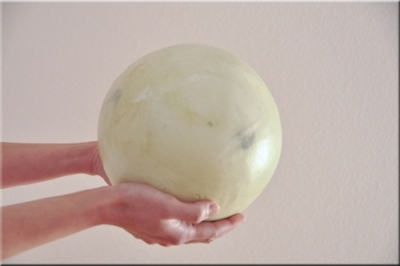 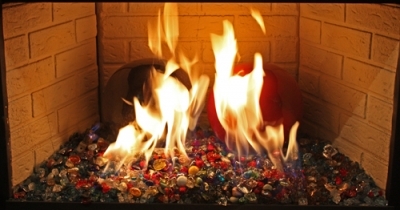 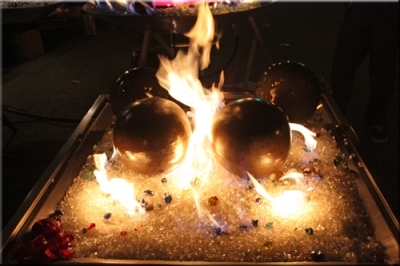 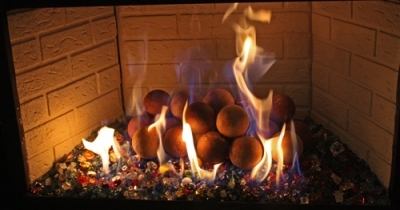 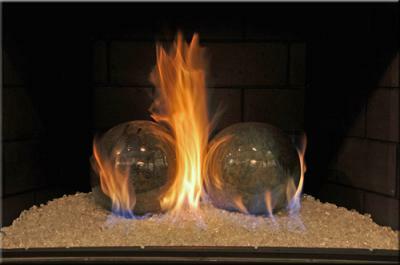 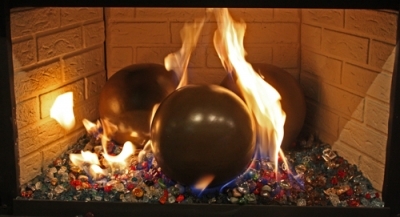 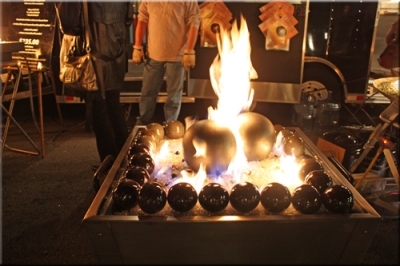 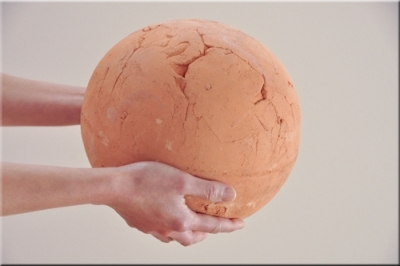 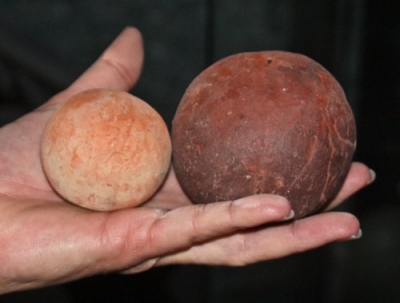 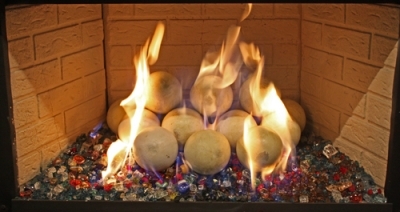 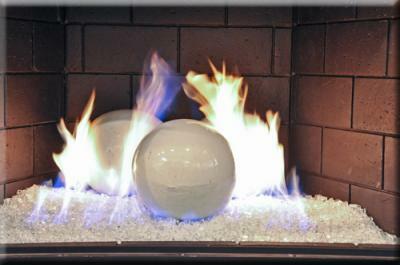 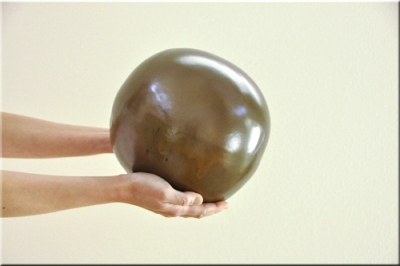 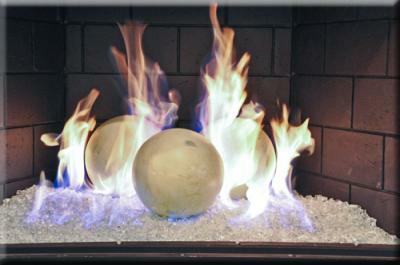 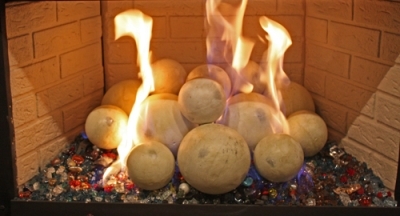 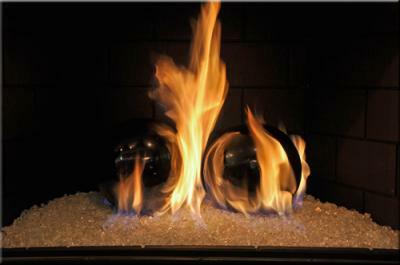 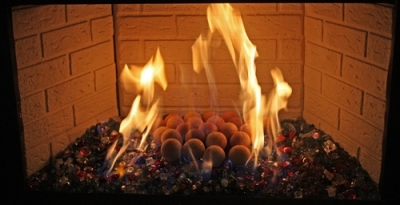 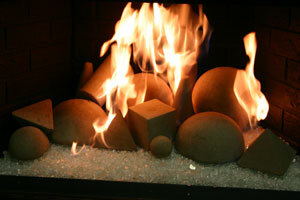 Ceramic Fire Balls with a shiny surface finish are virtually soot free! 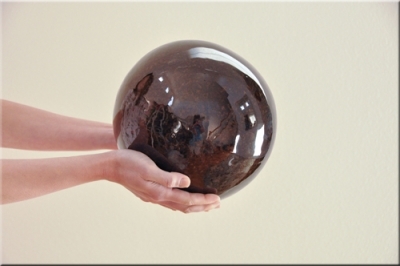 Simply wipe away any soot that may appear. 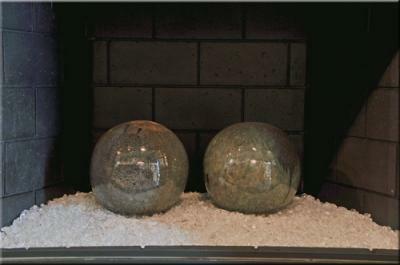 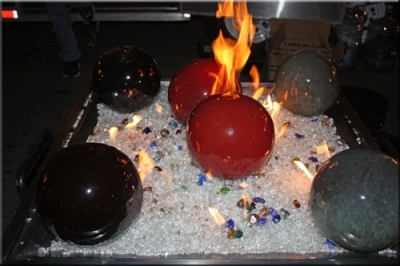 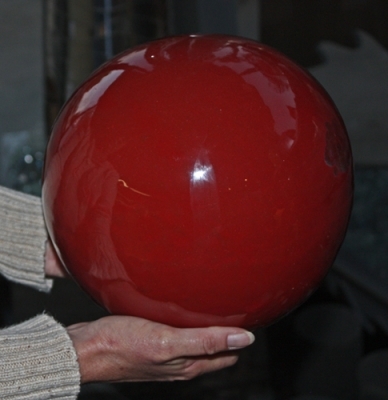 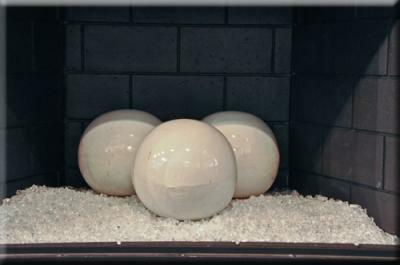 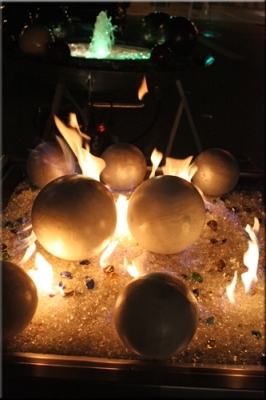 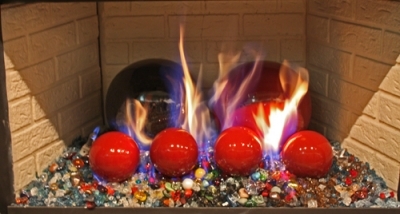 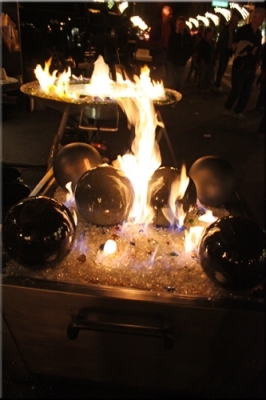 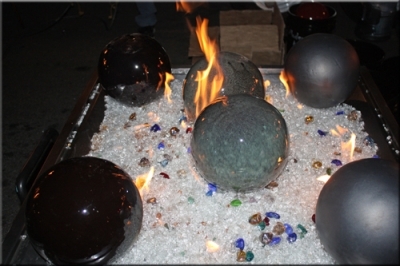 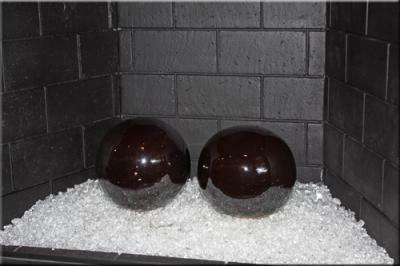 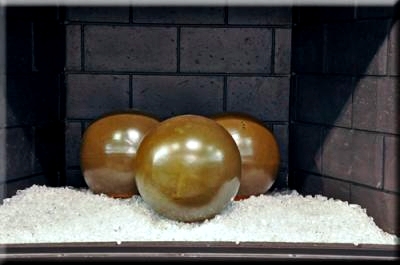 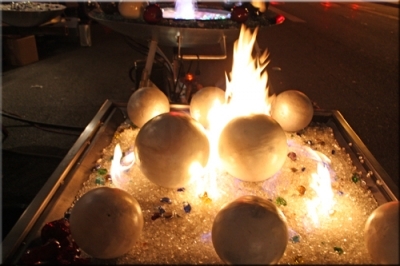 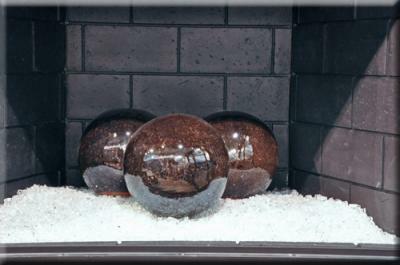 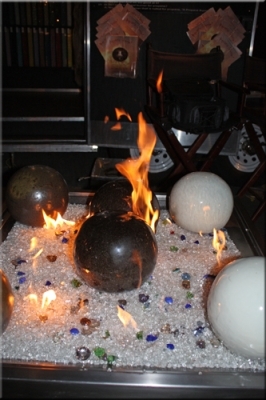 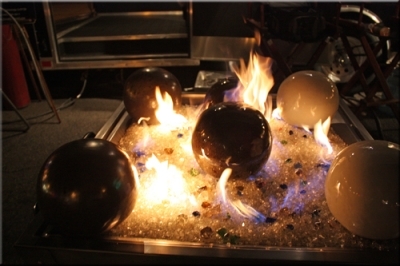 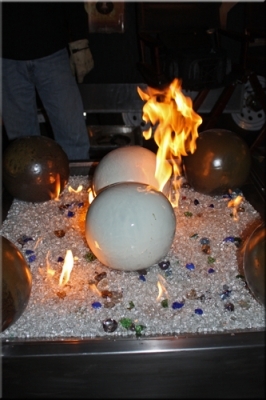 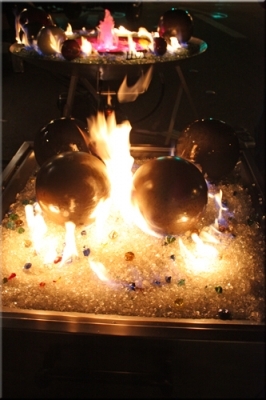 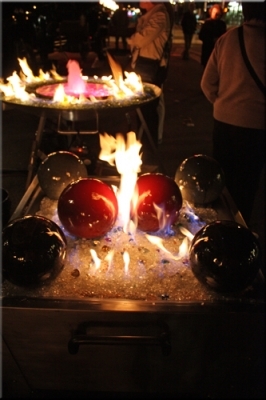 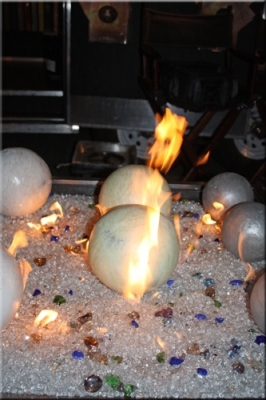 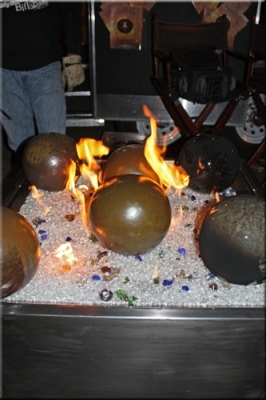 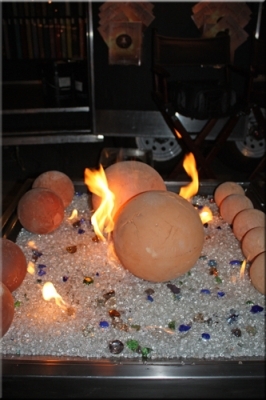 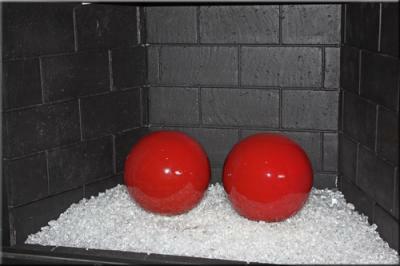 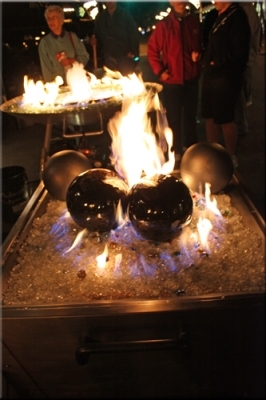 Here Are More Pictures of our Fireballs on a bed of Multi Mix base glass in our Showroom.